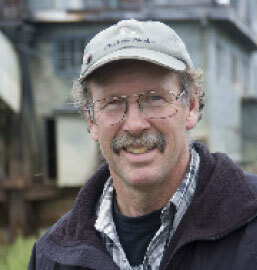 • Mike Busby lives in Homer in the winter and in Chicken in the summer, where he runs the Chicken Gold Camp & Outpost. Got a great Alaska photograph you want to share? Send it to Bearfoot, Alaska's Most Trusted Travel Magazines. 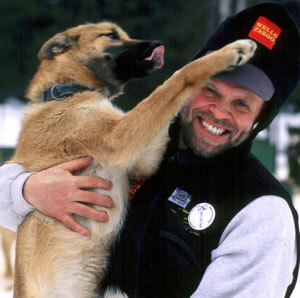 • Martin Buser is an Iditarod dog musher who originally came from Switzerland before becoming a U.S. citizen. • The Cordova Chamber of Commerce sent in many photos of the remote seaside town of Cordova for the Bearfoot. • “deeptea,” originally from India, is an Anchorage blogger and photographer now busy raising her young son, Om. • There are a number of historic collections of photos in Alaska, including the Dorothy Clifton Collection and the Anchorage Museum of History and Art collection. • Robert Gaucher is a French Canadian who came to Alaska several summers ago and took many photos of his summer-long visit. • Dennis R. Green took photos of the Copper River Valley and Denali Highway for the Bureau of Land Management Field Office. 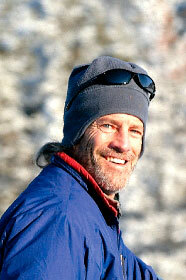 • Vern Halter at Dream a Dream Dog Kennels in Willow is a longtime Alaskan Iditarod musher. • Kevin Hamel runs the Totem Inn hotel and restaurant near Denali National Park, and frequently takes photos of scenery, wildlife, and especially birds, as he travels back and forth to Anchorage to get supplies. • Neil Hannan lives in Kenny Lake, near the Wrangell Mountains. He works for the National Park Service, and takes photos of his community. 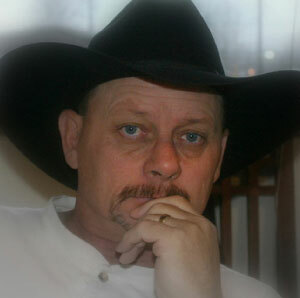 • Bill Hess is a photographer who worked with Mt. Sanford Tribal Consortium, taking photos of Native American elders, including Katie John, champion of rural Rights. • Bud Krause, of Nenana, works at the Nenana Visitor Center. A former Denali National Park bus driver, he donated a photo of Mt. McKinley from the end of the park road. • Gary Lackie took photographs at the Alaska Wildlife Conservation Center, a wildlife refuge south of Anchorage. • Mitch & Laurie Malmud lived and worked at the Denali Park Hotel in Healy where they took many photographs of Denali National Park, and also of their trips around the state. • Brian Moye was working at the Arctic Caribou Inn at Prudhoe Bay, and took advantage of his location to take pictures of wildlife of the North Slope. • Jennifer Munro, a professional graphics designer, now owns Trapper Creek Inn. She enjoys taking photos of Mt. McKinley from the Trapper Creek area. • Dan Myers of Alaska Clearwater in Cooper Landing is a fishing guide who frequently sends photos to Bearfoot. • The Northern Alaska Tour Company takes visitors up to the North Slope, and captures images of the wild, rugged scenery along the way. • Chantelle Pence has lived and worked in Chistochina Village, and took many photos of local people and their everyday lives. • Megan Rudolf, owner of the LuLu Belle, likes to take pictures of ocean wildlife from the boat, and post it on the walls of the Valdez office. • PK & Julia are explorers who traveled around Prince William Sound in their yacht, taking stunning photos of their adventures. • Shannon & Wilson took photos of the 2002 Alaska earthquake, and its damage in the Mentasta area. Shannon & Wilson are a geotechnical engineering service. • Jimmy Tohill, a poet, wildlife photographer, and studio photographer, donated the front cover and a number of other photos to Denali Summer Times. • The UAF (University of Alaska Fairbanks) Large Animal Research Center has a musk ox farm in Fairbanks. Advertise in Bearfoot Guides and BearfootGuides.com | © Northcountry Communications 1990-2008. | Site design by Luke Weld.